The fingernail-sized zebra mussel has become the symbol of aquatic invasive species in Minnesota. It's the one people notice. They slice their bare feet on shells that litter shorelines. They see them clinging to piers and docks and the undersides of boats. They're on posters across the state that instruct people to stop aquatic hitchhikers. But they're not the only ones. Invasive species live in hundreds of Minnesota's lakes and rivers, and millions of dollars are spent every year trying to slow their spread. Map: Where are the invasives? The most visible invasives, like zebra mussels and starry stonewort — which clogs a lake so thickly you can't swim or boat through it — get people talking, and spending money. But are invasive species destroying the lakes Minnesotans love? More than 20 years after invasive species started spreading in Minnesota's waters, scientists don't have a clear answer. Lakes are complicated. Life happens underwater, mostly out of sight. So it's a challenge for researchers to understand the impact invasive species have on the underwater ecosystem. • $10 million question: Are counties' efforts to fight aquatic invasives working? 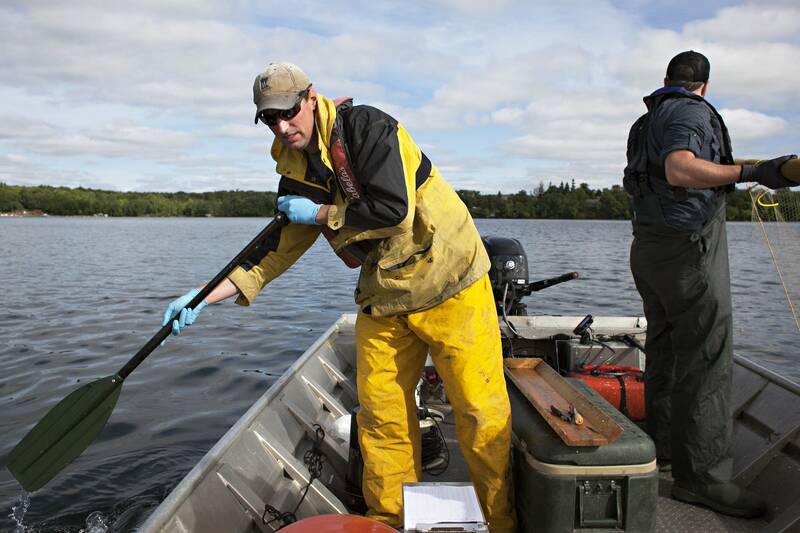 "Impact's a tricky thing, [a] complicated problem to understand," said Nick Phelps, who runs the Minnesota Aquatic Invasive Species Research Center, which was founded in 2012 and is now considered one of the most comprehensive aquatic invasive research centers in the nation. "Just because you get invasive species like zebra mussels, it's not necessarily going to be the end of the world. I use the analogy of walleyes, not every lake is a good walleye lake, so why would we assume that every lake is going to be good for zebra mussels?" said Phelps. "Some will just have low-level populations and it's not going to be a big issue, but some will have massive impacts both to the ecosystem that they've re-engineered, to the economy, (and) the management costs to keep it off your boats, off your beaches." Take Lake Carlos, about 15 minutes north of Alexandria in Douglas County. Zebra mussels were found there in 2009 and scientists are still trying to understand the long-term impact. 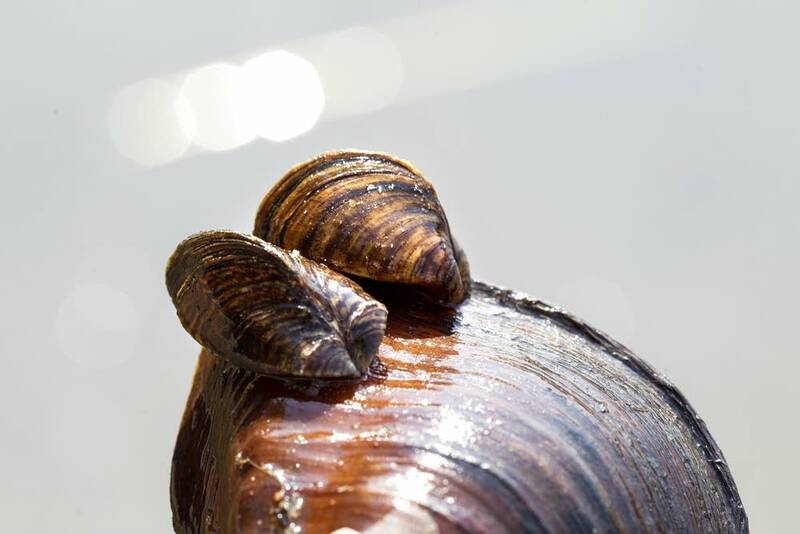 The invasive shellfish has lived in Minnesota waters since the 1980s when zebra mussels arrived in the ballast waters of an oceangoing ship when the ship made a stop in Duluth. The mussel is now at home in more than 330 lakes and rivers across the state. Scientists and anglers worry when zebra mussels enter a lake, because they start a chain reaction by eating phytoplankton, which are microscopic algae. Less phytoplankton means less food for tiny animals in the lake called zooplankton. Baby fish depend on zooplankton to survive just after they've hatched, and before they start eating macroinvertebrates or other fish in the lake. Some fish eat zooplankton their whole lives. Since zebra mussels were detected in Lake Carlos nine years ago, the zooplankton population has gone down 80 percent. 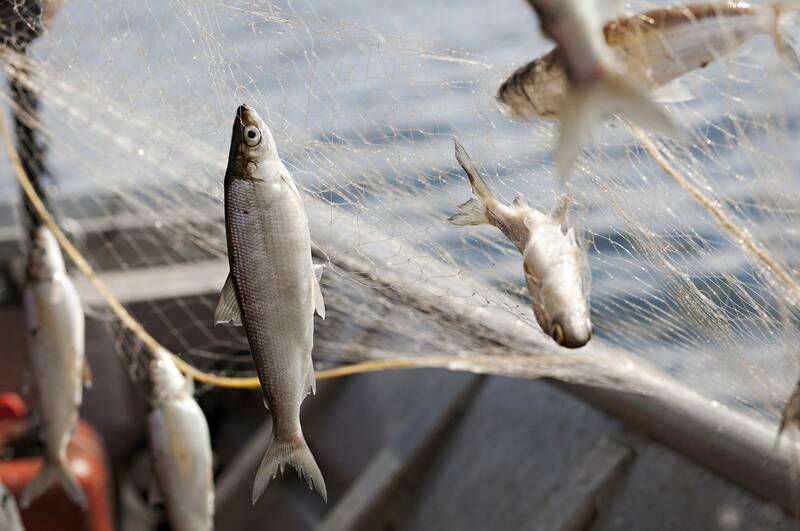 Experts say water temperature and available food are the two biggest factors in the survival of young fish. "So that's one of the questions we have. With this new reduced level of zooplankton, what are the implications for the fisheries?" said Casey Schoenebeck, who coordinates monitoring of Minnesota's sentinel lakes for the Department of Natural Resources. Lake Carlos is one of those 25 lakes, which are scattered across the state and are studied regularly because they represent lakes across Minnesota's various ecosystems. 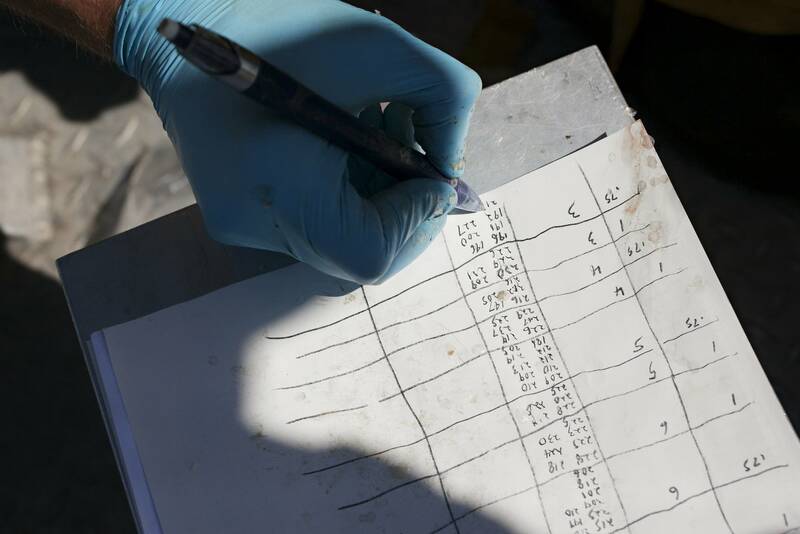 The monitoring program started on Lake Carlos a year before zebra mussels were found in the lake, which has given researchers a good set of "before" data. Despite the dramatic loss of zooplankton in Lake Carlos, the lake's fish populations appear to be surviving just fine. Schoenebeck says there's even been an increase in smallmouth bass, something that often happens after zebra mussels infest a lake. Other key gamefish species, like walleye, are still doing well, although the DNR continues to stock walleye in the lake to supplement natural populations. While researchers say the fish numbers remain strong, fish habits are changing, as they adapt to the new reality of Lake Carlos' ecosystem. "For the most part, our growth rates are unchanged," Schoenebeck said. "But their location has changed. As the water clarity increases, they're moving deeper. Some of the light-sensitive species, like walleye, are deeper in the lakes now." Zebra mussels filter the lake water and make it clearer. And while people often see clear water as a "clean" lake, clarity isn't necessarily a good thing. Sunlight penetrates deeper into the water, spurring more plant growth and causing algae blooms. And fish habitat changes, too. Walleye, for instance, prefer dark waters — so they move deeper into the lake or into places where there's thick plant cover. 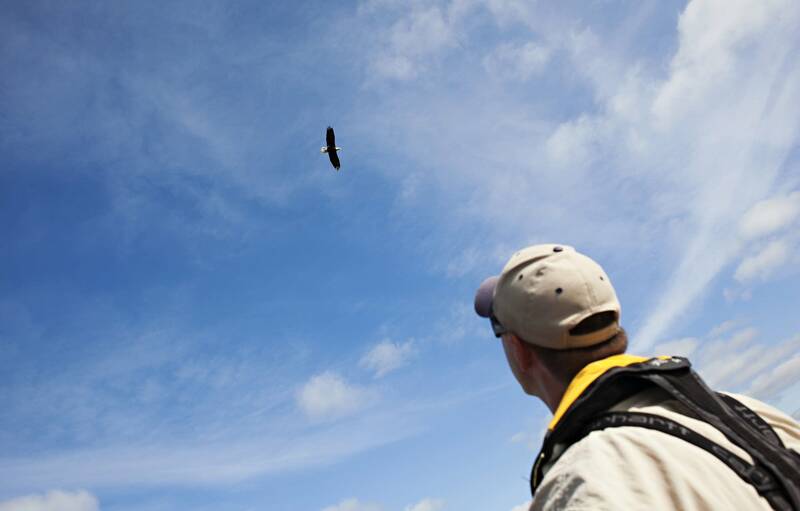 And that can mean that people fishing on a lake catch them less often, and assume they're disappearing. The same story is playing out on Pelican Lake, just outside Detroit Lakes in Otter Tail County. Zebra mussels were found there in 2009, the same year they were found on Lake Carlos. Pelican Lake is a popular fishing spot in west central Minnesota and attracts anglers from around the world for its muskies, which the DNR stocks. Lake residents there have complained the fish are disappearing. But Jim Wolters, who's been monitoring the fish populations in Pelican Lake as the DNR's area fisheries manager, said the most recent survey he conducted this summer shows popular fish species like walleye, bluegills and crappies are doing well. "The fish are there. It may be more of a behavioral thing," he said. "We've heard comments where people can't catch bluegills off their dock like they used to, [but] it may be that those fish aren't coming in until after dark." 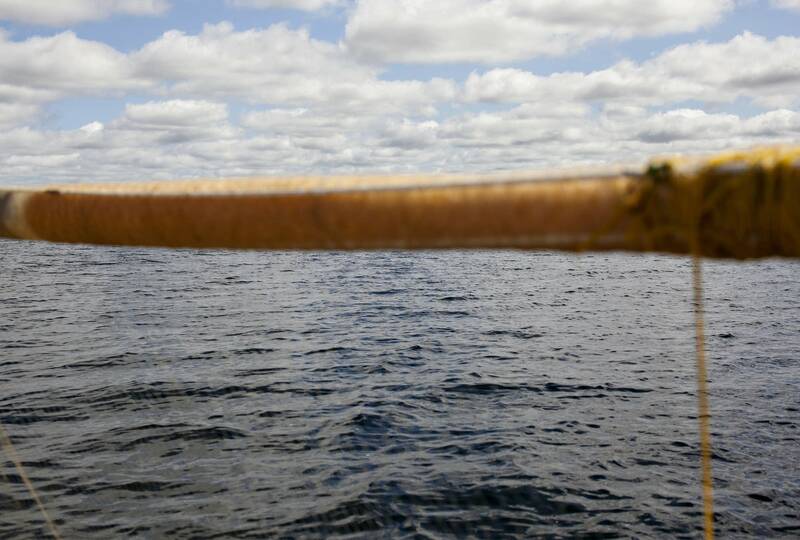 When they examine the impact of a single invasive — like zebra mussels — on a single lake — like Lake Carlos — scientists can start to identify the likely long-term effects of that invasive on Minnesota's lakes, in general. But it's not often that simple. There are other factors, too: Many of Minnesota's infested waters have more than one invasive species in them. When that happens, the effects — and the challenges of understanding them — are compounded and complicated. One example: Lake Mille Lacs. The popular fishing lake was infested with zebra mussels in 2006 and spiny water flea in 2009. Both invaders eat the tiny plankton that young fish depend on. 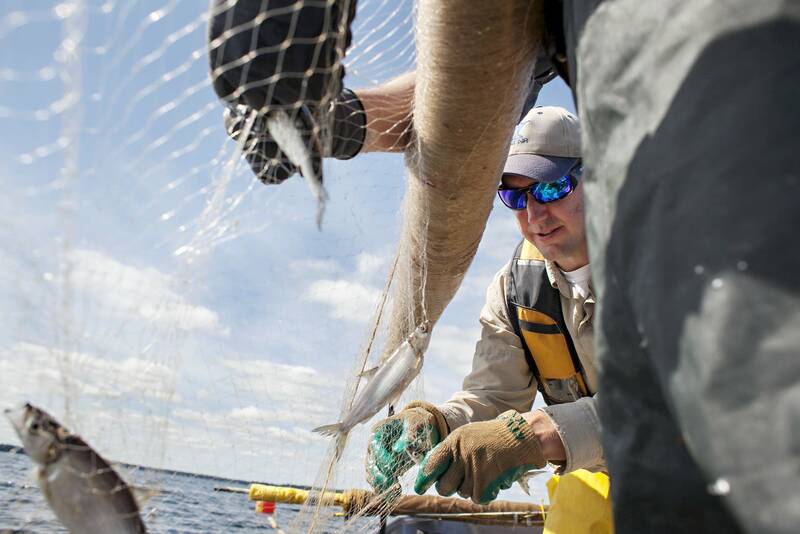 And researchers are trying to understand what role those invasive species play in the Mille Lacs' declining walleye population. And looming over it all is the specter of climate change. Phelps, the MAISRC researcher, said there's not enough data yet to have a clear picture of how a warming climate will affect lakes in the long-term. But think about climate change this way, he said: When you are tired and stressed, you are more susceptible to a catching a cold. "If the lake gets stressed from climate change, it's under pressure, and things just aren't doing well. It's more susceptible to an invasion," he said. "Climate change, invasive species — these [are] grand challenges colliding, and causing perhaps a bigger problem than themselves in isolation." The compounding effects of multiple invasive species in a lake is why Jeff Forester insists Minnesotans can never accept invasive species as a fait accompli. Forester is executive director of the Minnesota Lakes and Rivers Coalition, an organization that lobbies on behalf of lake associations across the state. "I hear the complaint: 'Well, the lake's already got zebra mussels, why protect it?'" he said. "These things interact with each other. Lakes are dynamic, so you don't want one aquatic invasive species. You certainly don't want two. You want to try to avoid three. And some of the most destructive [invasives] in the country aren't in Minnesota yet." There are dozens of other invasive species — and many of them can change lakes and rivers, as well. An often-overlooked invader is the common carp, which is found in hundreds of Minnesota lakes, rivers and wetlands and arrived more than 100 years ago when it was introduced as a game fish. The DNR says common carp are one of the most damaging aquatic invasive species because they are so widespread and they wreak havoc in shallow lakes and wetlands by digging up plants and damaging water quality. More recent carp species of concern are bighead, black, grass and silver carp. These fish can take over lakes and force out native fish species. All four have been found in Minnesota, and researchers are using sound and bubble barriers in an effort to stop carp from coming farther up the Mississippi. Plants can also cause major problems. Flowering rush can crowd out native plants and block fish spawning beds. Eurasian watermilfoil gets so thick on a lake's surface it can block boats. Thousands of gallons of herbicide are used each year to control it. One of the most feared plants among Minnesota's invasive species experts is a relative newcomer: starry stonewort, a grasslike macroalgae first found in Lake Koronis, near Paynesville in Stearns County, in 2015. It's now in a dozen lakes. The algae grows so thickly it can block boats or swimmers and crowd out native plants. And so far, there is no effective treatment to kill it or curb its growth. 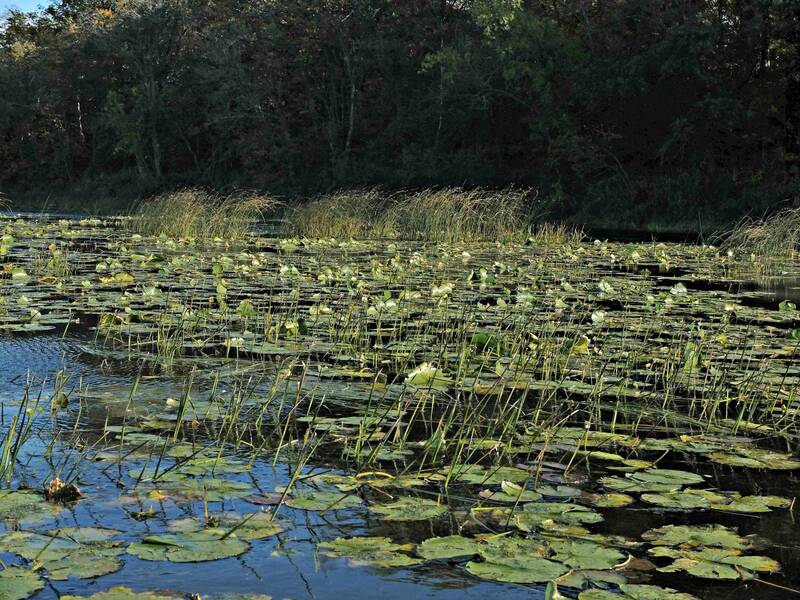 A few small studies have shown that invasive plants can have an economic impact, by reducing property values in heavily infested lakes. In Minnesota there's no clear consensus, but there are anecdotal stories about people making economic decisions because of invasives. "A local resident on one of our top-10 sized lakes in the county said he was moving off the lake because the zebra mussels — the dead ones — are moving up on shore to the point where he can't even recreate on his shoreline," said Jake Frie, environmental services supervisor for Crow Wing County. The story was memorable because it's not something he often hears about, he said. State Sen. Carrie Ruud, R-Breezy Point, represents the Brainerd lakes area. She's also a real estate agent. "Ossawinnimakee was one of the first lakes to have [Eurasian water]milfoil and zebra mussels," she said. "The day they announced zebra mussels, as a realtor, we watched four lake home sales fall through ... because people went 'Whoa, what is this?' and they didn't have the knowledge that they have now." That was in 2004. These days, she said, she sees that kind of reaction less often. But home buyers do pay attention. "[It] doesn't affect the market as much," she said, "but it still is a consideration when you're buying a property. Does your lake have invasive species?" And even if you don't live on a lake, and never go fishing, aquatic invasive species can nibble at your budget. When Itasca County aquatic invasives coordinator Bill Grantges gives public talks about invasive species, he starts with a question. "So I just say: 'OK, anybody who lives on a lake, raise your hand. Anyone who has a relative that goes fishing raise your hand' Then I say: 'Anybody who uses electricity, raise your hand.' So the entire room raises their hands. I say: 'Okay, everyone here is affected by this.'" And that's because invasive zebra mussels can cost power plants $1 million or more a year by blocking pipes that take in water from an infested river. Plants that treat drinking water also pay, sometimes hundreds of thousands of dollars a year, to keep pipes clear. Those costs can get passed along to consumers, and show up in utility bills. "There's costs like that that are direct monetary cost. 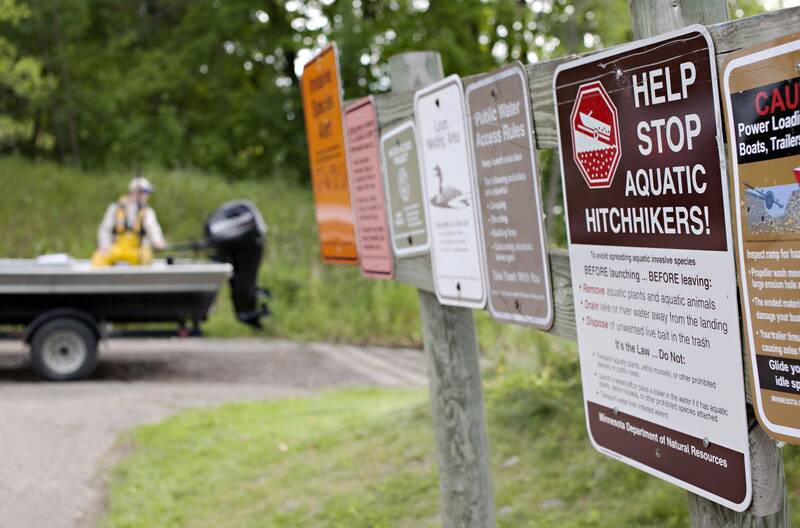 There's social and nuisance-type costs — you're going boating, and now you're going to cut your feet on zebra mussels," said Heidi Wolf, the DNR's invasive species unit supervisor. "And then there's the cost of the changing ecology and what will happen to Minnesota on our landscape and will things be different in the future." Minnesota researchers hope to find ways to control some invasive species like zebra mussels in the next decade, even as they work to understand how those invasives change lakes. Odds are by then Minnesota will have new aquatic invasives posing new challenges. MPR News reporter Kirsti Marohn contributed to this story. What would you like to know about invasive species in Minnesota's waters?